THE Spanish government is considering legal action against banking giant HSBC in relation to off-shore tax dodging. HSBC files show that 2,694 Spaniards held accounts at HSBC’s private bank in Switzerland with savings totalling €2.2 million. 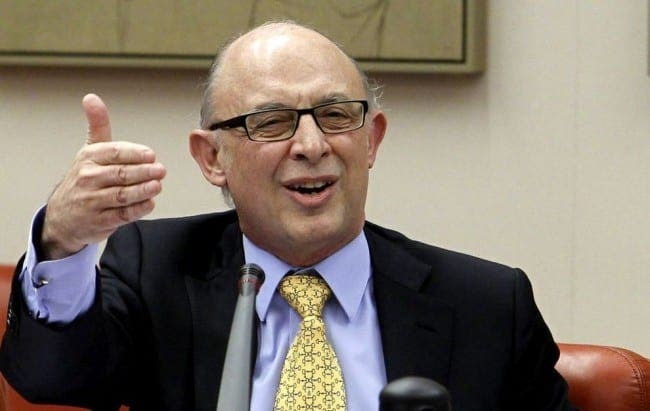 Spain’s finance minister, Cristobal Montoro, has now asked the government to carry out a ‘study of the legal actions that can be taken against HSBC for its participation in carrying out fiscal fraud, laundering and other wrongful acts committed by Spanish residents’. In 2010, tax authorities contacted more than 650 Spanish residents on the list who were suspected of tax evasion. The Botin family, who head Santander bank, paid €200m in back taxes to the Spanish government, ending an investigation for tax fraud. pot/kettle/black – Spanish mentality as usual – nothing changes. Haha and the Spanish authorities knew nothiing of any swiss accounts? Does any Spanish politician think before he/she opens his/her mouth. As one of the most dodgygovernments in Europe I suggest they “Deja que los perros dormidos mienten”. As an aside I notice that quite a few reporters on the state run TV have been moved and replaced with more right wing (sympathetic) ones. I’ve had to edit this to try and make sure I don’t fall foul of the Citizens Security Act which seems to have powers very similar to the Patriot Act in America that is to say nothing to do with patriots or citizens security. Oh dear, Lord Fink has just let the cat out of the bag. “Everyone” in the UK avoids tax it seems!!!! Maybe people aren’t that different between Spain and the UK after all! But hey, the “Spain bad, Brits great” mob here will tell you differently…. The figures dont jibe. 2694 accounts totalling 2.2 million Euros. That’s an average of less than 1000 Euros per account? Who cares! I reckon that must be a mistake David, it’s chicken feed if true. As the Botin family repaid 200 million perhaps that figure was 2.2 billion? ?